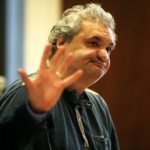 Artie Lange released a new book on July 17, 2018, titled “Wanna Bet? : A Degenerate Gambler’s Guide to Living on the Edge.” Wanna Bet? is Artie’s third memoir which was co-written by Anthony Bozza, like the previous two. The stories found in Wanna Bet? paint a portrait of a man who would just as quickly bet tens of thousands of dollars on a coin toss as he would a well thought out NBA or NFL wager. Along for the ride are colorful characters from Artie’s life who live by the same creed, from a cast of childhood friends to peers like comedian and known gambler Norm McDonald. 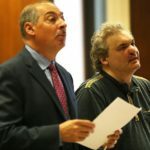 “Howard says, ‘Listen, none of the stuff you’re writing is working out.’” Artie apologized and was ready to get his things when Stern continued, “‘so I’m going to leave your mic on all the time.’” Both Lange and Dell’abatte were shocked. Social Life Magazine is the “premier luxury publication for the Hamptons” and is celebrating 15 years of print. The August 2018 issue features Howard Stern’s wife Beth O.
Beth O is on the cover of August’s Social Life magazine, which also features a pictorial shot by The King Of All Media, Howard Stern. While Howard has frequently photographed Beth in bikini shots, they decided to focus instead on her animal activism in the magazine. “She said about two weeks ago she opened her front door, there were two little kittens,” according to a source. A week later, Beth found what she thinks to be the dead body of the cats’ mother near their Hamptons home. “I must be getting a reputation as a cat whisperer because the mother brought them to be taken care of,” Beth told staffers on set. The addition of those cats, whom she named Ocean and Sunflower, the Sterns have 14 kitties in their beach house’s “foster room.” That count also includes a feline she found in a dumpster outside a high-end sports car dealership with its umbilical cord still attached. “She said she started crying when she found him,” said the source. It isn’t just cats that Beth rescues. The 46-year-old model, who celebrates her 10th anniversary with her 64-year-old husband in October, has a family of five deer in her backyard that she brings a bucket of water to every day. Beth also commented on Howard’s new book which could be released on September 25, 2018, according to a librarian working at Simon & Schuster. “I told him he can write any story about me he wants,” Beth told that set source. Howard Stern Writing New “Tell-All” Book Which Will Be Released On September 25, 2018. Howard Stern is writing a “tell-all” book, according to Radar Online. This project would be the third in a series of books for publishing company Simon and Schuster, and a continuation of his first tome titled Private Parts which was published in 1993. Stern has been alluding to a “secret project” on his radio show for quite some time, and Radar Online learned that this might just be a new tell-all book. Radar reported that over the past two months, Howard has spoken of being “overly excited” for the project. He also noted on his radio show, according to Radar, that he had to “look through old pictures” for the project. Private Parts was released by the publisher in 1993 and it was the fastest-selling book in the company’s history. It was later adapted into a hit film in 1997 starring Stern and his radio show staff as themselves. In late 1995, Stern published a second book called Miss America. Radar reported that Stern’s new tell-all could “address a lot of controversies over the years, including his fall-out from former sidekick Artie Lange, his first divorce, possible health issues, and rumoured upcoming retirement. Stern is expected to write about his stint on “America’s Got Talent,” and how he met and married his second wife, Beth Ostrosky in 2008. 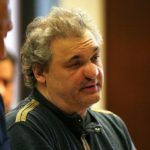 Artie Lange, who many thought would not make it to 50, recently did an interview with the Dopey Podcast, a podcast covering the dark comedy of drug addiction. 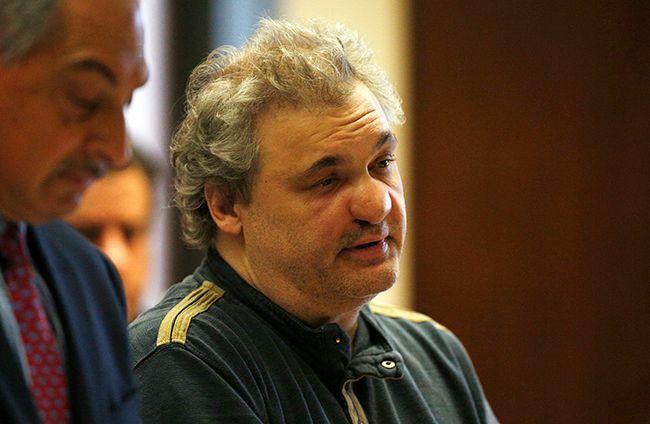 Artie revealed just how unmanageable his life had become in 2009 thanks to cocaine, heroin, pills and booze. Despite seeing the root of his problems, Lange’s behavior ended his otherwise wildly popular run on The Howard Stern Show. Lange likened his relationship with Stern to “a son-and-dad kind of thing,” which potentially made Stern’s decision to fire the comedian more complicated. “He didn’t know the extent of it. There’s no way he could’ve,” added that even though Stern couldn’t grasp just how far gone the comedian was, he tried to get Lange the help he so desperately needed. Stern even connected him with a therapist, put him into a treatment center, and encouraged him to take all the time he needed to find sobriety. During the interview, Artie indicated that Stern’s efforts were as generous as they were futile. Lange was straightforward and serious about the reality of his addictions, admitting that he might soon relapse and never find long-term sobriety. 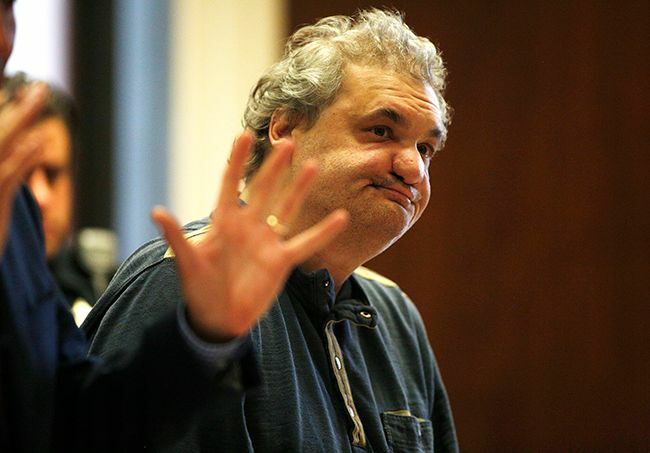 Artie also disclosed that he was earning $4 million a year from The Howard Stern Show. President Donald Trump apparently carried on a lengthy phone conversation from Air Force One with Stuttering John, who claims he duped the president into believing he was Democratic NJ Senator Bob Menendez. John Melendez, former longtime regular on The Howard Stern Show also known as “Stuttering John,” posed as Menendez, a frequent Trump policy critic, in a podcast he posted online. He said he got Trump to open up about his next Supreme Court justice pick and his zero tolerance immigration policy. The conversations were made public after Stuttering John posted the material to “The Stuttering John” podcast. ‘Hi, Bob. How are you, congratulations on everything, we’re proud of you. Congratulations, you’re doing a great job,’ says President Trump at the start of the call. He then made reference to Menendez’s past indictment on corruption charges, which resulted in a hung jury last year before a federal judge cleared him earlier this year at the request of prosecutors. ‘You went through a tough, tough situation – and I don’t think a very fair situation – but congratulations,’ President Trump said in audio first played during Melendez’s Stuttering John podcast on Thursday. Melendez then asked what he could tell his constituents in regards to the topic of immigration moving forward. ‘So Bob, let me just tell you: I want to be able to take care of the situation every bit as much as anyone else, at the top level,’ replied President Trump. He continued: ‘I have a good relationship with the party, you have a good relationship with the party, and I think we could do a real immigration bill. We have to have security at the border, we have to have it. I mean, look, you’ve got 60 percent of the country, they’ve got to have security at the border. The conversation also touched on the Supreme Court and Trump’s thoughts on a prospective candidate following the news that Justice Kennedy was retiring from the bench. Melendez said Trump should have recognized his voice because he said they have spoken in the past at least 20 times. Trump was a frequent guest on Howard Stern’s show. “He’s even given me real estate advice,” the comedian said. Stuttering John also claims that the Secret Service paid him a visit after he was able to patch through to the President on Air Force One. 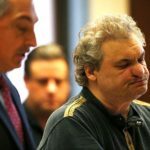 Comedian Artie Lange was sentenced to four years of probation for drug charges stemming from a May 2017 arrest for heroin possession. New Jersey State Superior Court Judge Nancy Sivilli handed down the sentence along with orders to complete an outpatient drug treatment program and 50 hours of community service. 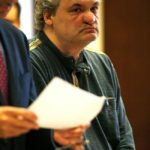 Not long after he was sentenced to four years of probation for heroin possession, comedian Artie Lange tweeted about the judge’s decision. Lange, 50, thanked Judge Nancy Sivilli and called her decision “very fair” but said that he still found the length of the probation daunting. He proceeded to call his history of addiction a cautionary tale. 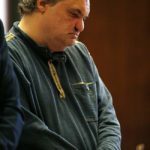 In Superior Court in Newark on Friday, Sivilli also sentenced Lange to 50 hours of community service and ordered him to report back with information on his enrollment in an outpatient drug treatment program within 10 days. 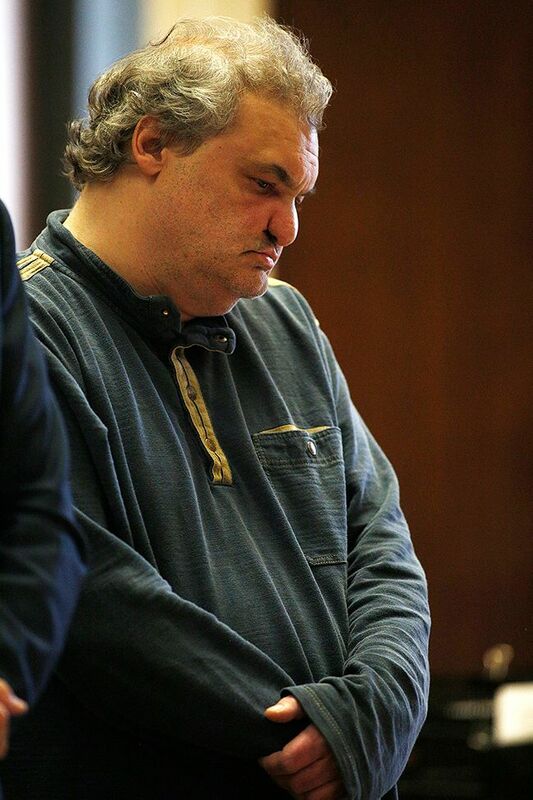 In a recent episode of the A&A show, Anthony Cumia explained why Artie Lange won’t be on the show anymore. 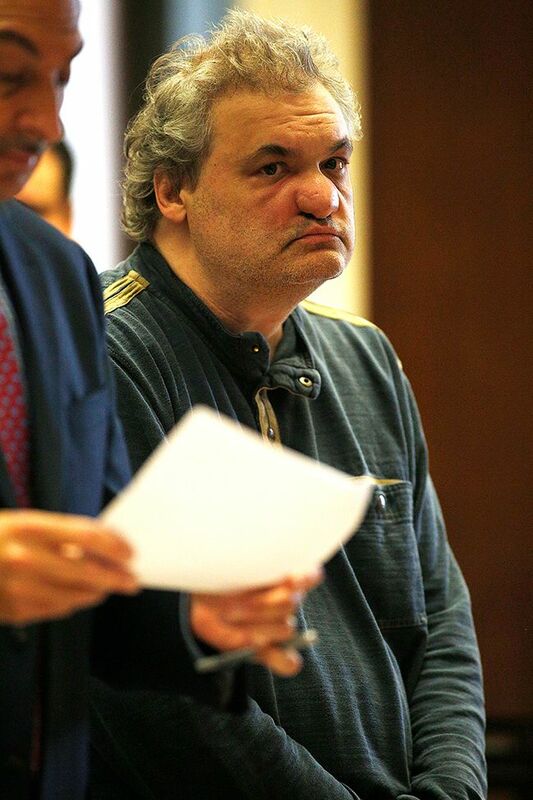 Cumia said Artie needs to take time away from the show to deal with his drug possession case. “From this point to the foreseeable future, this is much too serious to try and pin a date on. We just won’t see Artie around here anymore. I’m sorry to say. 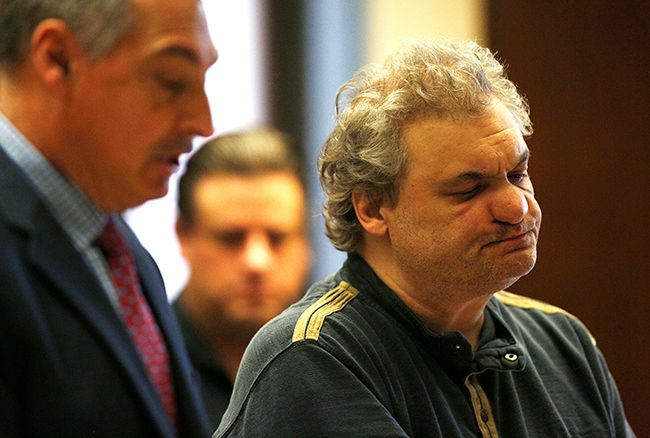 The bottom line really is he needs to fix Artie Lange. He can’t worry about making it to this show every day,” said Cumia. 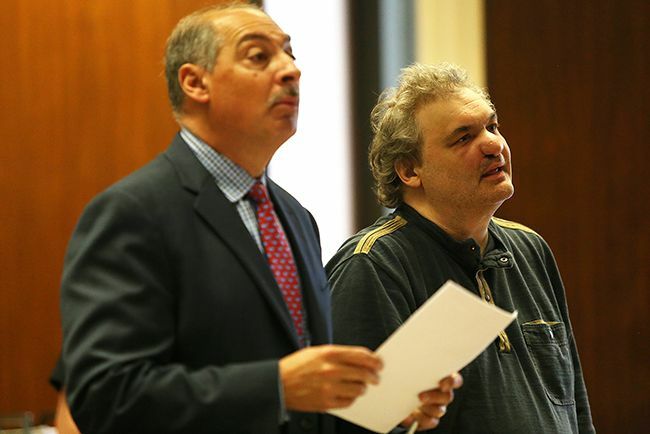 Artie was arrested for drug possession last year, 81 decks of heroin to be specific. He was supposed to be sentenced in February, but that date was pushed back when he was hospitalized for health-related issues. Lange is set to be sentenced on June 1st, 2018. Howard Stern was recently a guest on “My Next Guest Needs No Introduction with David Letterman” on Netflix. The full episode will air on May 31, 2018. In a YouTube preview, Howard talked about interviewing Donald Trump. Stern called Donald Trump a good radio guest and spoke about how Trump referred to his daughter Ivanka Trump as a perfect 10. “I’d say, ‘Donald.’ Actually, I’d call him ‘Mr. Trump.’ I’d say, ‘Mr. Trump, umm, tell me, who are the great beauties? If I ask you some names, can you tell me who the great beauties are? '” Stern recalled, going on to share the president’s answer. Stern told Letterman about Trump’s response. “He goes, ‘First of all’ — straight face — ‘the great beauties, Howard, are not actresses. It’s models. A lot of these girls who… anyone who works in the entertainment industry, I’ve only seen 6s and 7s,” Stern said. “So I’d be like, well Donald, I think Angelina Jolie is a great beauty,” Stern continued. “‘7!’ He’d go, ‘You know who’s a great beauty?’ I’d go, ‘Who?’ ‘My daughter, Ivanka! Now she’s a 10.’ So we’d have these discussions.” Letterman cringed in response. Many of these conversations have now become infamous, which Stern acknowledged. “Of course, with the Internet now all these tapes are out there,” he told Letterman. An entire catalogue of the interviews is available here. Along with Donald Trump, the two discuss Howard Stern’s childhood, the effect their entertainment careers have had on their personal lives, and Letterman’s beard. Earlier this week, Howard Stern and Robin Quivers were discussing sports host Mike Francesa return to WFAN and their own feelings on retirement. “I’m just one of these human beings, I’ve accepted it just to be miserable all the time. And work makes me miserable. But then people say to me, ‘if you didn’t have work you’d be miserable too, you would miss it.’ But I really do not believe that’s true,” Stern, 64, remarked. Howard had just returned from a week-long vacation when the comments were made. It seems that Mike Francesa return to WFAN made Stern think long and hard if retiring now would be the right decision. “So the guy leaves in December and all of a sudden he’s back. That is the world’s shortest retirement,” added Stern. Former Howard 101 host Bubba The Love Sponge is back on the air in Florida. The Bubba the Love Sponge show airs on AM 820 News and 98.3 FM Pinellas County. Bubba was recently featured on CNN for a 2007 interview he did with Stormy Daniels where Stormy discusses her alleged relationship with Donald Trump. Bubba the Love Sponge Clem, known as Todd Clem before he legally changed his name in 1999, played portions of the interview on his radio show Friday and Monday, in which Daniels was asked to write down the names of famous men she had slept with. Clem says the first name on that list was Donald Trump. Although neither Daniels nor the host says Trump’s name in the 2007 audio, she can be heard describing key details that match the description of her alleged affair with Trump. Clem said on his nationally syndicated radio program that Daniels was talking about Trump, and later verified the same information to CNN. CNN independently corroborated the story with another person who was in Clem’s studio that day, who would speak only on the condition of anonymity. That person also said Donald Trump’s name was the first on Daniels’ list. Clem told his listeners in January that he had removed the appearance from his archives, the website Bubba Army Radio, because he didn’t want any unwanted attention in advance of an upcoming federal court case with Nielsen over alleged ratings tampering by Clem. “Be careful on this one. Do not say a word,” Clem can be heard saying, cautioning Daniels and his co-hosts to not speak the man’s name. Later in the show, Clem plays short clips of Daniels responding to questions over the alleged affair. Daniels said the tryst took place in “Nevada, but not Vegas.” At the prodding of the radio hosts she says it was in Lake Tahoe, which is where Daniels first encountered Trump at a celebrity golf tournament in 2006. She later added that there was no money exchanged. “This interview happened in May 2007. I only asked the questions. Stormy answered them. I wish her and our President nothing but the very best. I don’t think it’s that big of a deal. We need to stop worrying about the past and focus on the future. President Trump is our President, regardless of who he slept with 12 plus years ago. The media and haters need to get over it,” said Bubba. This would be the earliest known instance of Stormy publicly discussing the alleged affair.